There is more weight in Bilawal’s words than in his actions. PHOTO: REUTERS. Since Bilawal jumped on the political bandwagon, many had breathed a sigh of relief as they believed that the Pakistan People’s Party (PPP) ship finally had a captain that might steer it away from the humongous maelstrom formed by the party’s inept governance in Sindh. However, witnessing the eroding internal structure of the party, there is a proposition that he might not have the authority to steer that ship after all. On December 27th, at Garhi Khuda Baksh, the once flamboyant Bilawal was seen standing humbly and silently behind his father, Mr Asif Ali Zardari, who recently returned from his 18 month self-exile. He was in the spot light during his father’s absence, however, his return has cast a shadow not only on Bilawal, but also on the Bhutto Legacy. Over the years, the young PPP chairman has slowly emerged from his small cocoon, no longer can we detect any signs of hesitation or anxiousness in his voice when he speaks to his supporters, in fact he is more charismatic and charming than his other senior political counterparts. He is not brash but some do consider him slightly arrogant when he crosses certain lines while responding to the leaders of opposing parties, who still see him as a newcomer in the Pakistani political sphere. The contributions of his grandfather, the late Zulfikar Ali Bhutto (ZAB), and deceased mother, Benazir Bhutto, to maintain Pakistan’s fledgling democracy has acted as a frame to support the young man who was a complete novice in national affairs. From Bilawal’s speeches, it seems that he thoroughly studied his grandfather’s gestures, adopted a similar ferocious attitude that the late ZAB used to have, simultaneously parroting his mother’s way of communication with those who followed PPP ardently. Bilawal has successfully learned the Bhutto way of addressing a massive audience, however he should be aware that the previous PPP leaders were not acclaimed for chanting Bhutto slogans nor were their valour a mere theatrical act, they were known for being outspoken, rebellious, and for their struggle against totalitarian regimes. The young Bhutto has been nurtured in a pro-Bhutto environment but perhaps an artificial one, a political invention whose architect is not his mother or grandfather but those who took care of the party after them. The PPP in its desperate attempt of making a Bhutto out of Bilawal did not realise that the boy in front of us is merely a product manufactured by the party; he is still a tyro, who has a lot to learn about Pakistan’s convoluted politics. His mother successfully orchestrated the PPP establishment. For Pakistanis, Bilawal’s success was only an arm’s length away, he was not the labourer who built the party brick by brick, and he was born privileged and already had his name on the throne. That is why those outside the PPP are sceptical about the party’s policies, that they believe will be indifferent to the ones introduced by its counterparts, it might be difficult to admit but they are apparently right. From political rants to development promises, PPP schemes and methods are indistinguishable to other provincial leaders; there is more weight in Bilawal’s words than in his actions. When we hear Bilawal speak, we think that the strings of the party are in his hands, but the truth is that the viziers have more influence on the Sultan than the other way around; Bilawal seems to have the benefit of being the chairman of the PPP, but he does not have the independence to exercise control. Unlike him, Bilawal’s renowned grandfather had a considerable degree of autonomy to establish a political party of his own, an important element that the young Bhutto himself, unfortunately, lacks. He continues to be imprisoned in a box that prevents him from exploring his boundaries, it is not him however, responsible for his confinement, it is the senior party members who seem to thwart him from stepping outside his comfort level, fearing that the Bhutto kin might follow his own intuitions which would affect PPP’s hierarchical leadership. Most of the time, we see Bilawal making appearances at occasions that look like relentless attempts by his fellow party members to keep him engaged in political activities to solidify Bilawal’s image as the next “Bhutto”. For them, Bilawal is a trophy whose rightful place is on the mantel piece, the boy has been polished and well-guarded by his colleagues, kept far away from the clutches of cynics or pessimists who they deem as a threat to the party, and to Bilawal in particular. A wounded PPP sees Bilawal as a blessing, for the jiyalas he being the son of an eminent figure naturally makes him eligible to be a ruler. The boy fit the shoes of his predecessors, however sadly, he does not share their personalities and to some extent, their traits. 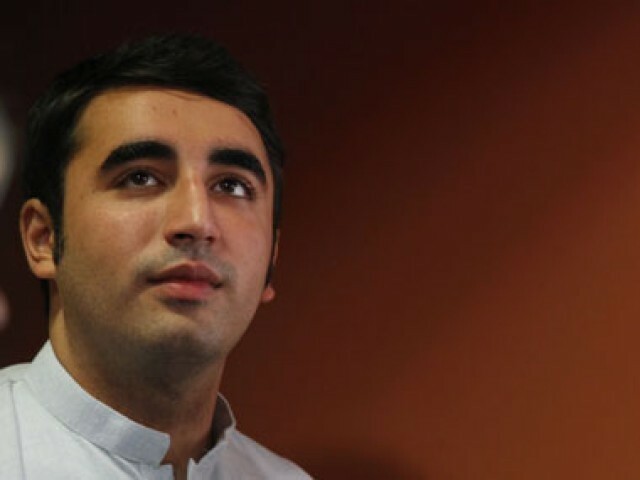 The vehement followers of the PPP, who never grow tired of supporting a party that has actually offered them little after the demise of Benazir Bhutto, base their support on Bilawal being an heir of a powerful political dynasty which produced two compelling leaders, but it is hard to predict whether the young Bhutto will be as equally compelling as those before him. Only a small amount of people among the PPP support system are curious to know what Bilawal himself actually thinks, is he even interested in carrying on the Bhutto name or is he forced in a position of which he may or may not have the credentials? Some of us question his policies, or does he have the autonomy to design any policy at all? From what we have seen of him so far, he is still a hatchling; vulnerable and inexperienced. His public speeches rarely address the crisis which has nearly crippled the province of Sindh, they are centred on topics that are mostly talked about and are making the headlines but are unrelated to the issues which have transformed the province of Sindh into a land unfit for inhabitants. We have often heard him speak cordially of venal political leaders, embracing them and offering his cooperation, and at other times, the same unscrupulous politicians become his targets. His supporters with dust-ridden clothes and torn sandals exalt him as a messiah, kissing his hands and touching his feet as if he is an embodiment of miracles, but Bilawal in his Bhutto moment, does little to justify the saintly status that has been given to him by his followers. Unlike his grandfather and mother who fought vehemently to maintain their leaderships, Bilawal did not have to smell the stench of prison cells, nor suffer incarceration, his body does not have the scars which were given to his predecessors by their detractors, for now the young Bhutto does not have enemies, his path does not contain any thorns or sharp stones, and to establish a firm leadership in Pakistan one inevitably gets pricked. Bilawal has been part of the family that has witnessed a series of brutal killings of its members, starting from the illegal execution of ZAB, the assassinations of Mustafa and Shahnawaz Bhutto and lastly the death of Benazir Bhutto. Even though Bilawal has braved his way through these excruciating experiences, the tragic incidents which took place in his life have given birth to fear and anxiety, hence he takes every step tentatively which is somewhat advantageous to a party that has managed to keep Bhutto populism alive. 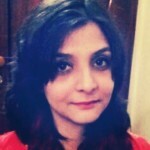 It seems that the PPP has been left with a few surprises to resurrect hope in the people of Sindh, the introduction of the Anti-Conversion Bill, which indeed startled us, is a positive move even if it took a while to enact it, however, such legislation like the Women’s Rights Bill in Punjab have met with resistance from extremist factions, the PPP, nevertheless, is aware that its left-wing policies will enrage the ultra-conservatives, but the bill projects the PPP as an advocate of liberal values, which is something the PPP aims for, even if the Act is repealed it would not impact the image the PPP is trying to create. However, there is a flaw to it, and what better way to explain this flaw but by giving the example of the 2016 US Elections. For the first time, the entire world was baffled at the outcome of the results. But somewhere deep down inside, many of us knew how the great event would end; Donald Trump trumped Hillary Clinton, and despite our predictions, we were still dumbstruck. The former’s win indicated that the Americans were not equally baffled at the outcome; they knew exactly what they were doing and who they were voting for. How come a gleaming star like Hillary Clinton lost the race? We all saw her putting extra amount of effort in her campaigns which gravely impacted her health, she was more politically focused than Trump, she was careful with her words, but most importantly, she made the immigrant population of the US the focal point of her campaign, so how was she not able to win the hearts and minds of the American people? The answer is not that hard, nor is it that simple. For the most part, Clinton was seen battling the allegations thrown at her by Trump, carving an opportunity out of those allegations, the Democrats portrayed the Republicans as politicians with fiendish views and little political expertise to govern an entire country. Clinton was busy maintaining her image as a starlet by countering Trump’s anti-immigrant, anti-Muslim and anti-women stances. In the process of pleasing the minority, the Democrats gave little heed to the majority, which consists of White Americans. Another vital factor was Trump’s detachment from the political elite at the Whitehouse, he successfully broke the status quo, and he was the turtle that overtook the sleeping rabbit. If we use the same example in Pakistan’s case, we will see that the democratic parties in this country are not too dissimilar. The PPP is part of the political elite that is trying to detach itself from the traditional style of politics that it was famous for, meaning it no longer wants to be a party for the poor, even if it wants to be referred to as one. The Anti-Conversion bill, although it will reap benefits for the rural population, it is the liberals who have rejoiced. The bill addresses an issue that is significant but it did not strike the core of the problem that Sindh is facing, the law would have been a treat had it been introduced amidst a series of other laws that would deliver the basic needs of the people of the province. It is remarkable that the main motive behind the Anti-Conversion bill is to halt the forceful conversion of Hindu women and other minorities to Islam, yet the passing of the bill contradicts the plight of famine inflicted children, which also includes those belonging to Hindu families residing in the Thar desert. Although, efforts are being made by the provincial government to reduce the crisis, it is difficult to establish whether there are pure intentions behind this commitment or is it merely for promotional reasons. With every commemoration, Bilawal ponders over issues which are national but not provincial; the PPP has been far more incompetent in Sindh than it ever was under the presidency of Mr Asif Ali Zardari. The province has been plagued with miscellaneous diseases which have claimed many lives; there is water shortage duet famine, sanitary problems, abject poverty, not to mention eroding institutions, especially the education sector and a crumbling infrastructure. So far the PPP can be seen chiselling the old wounds suffered by the people of Sindh when they witnessed the decline of the great Bhutto Empire. In the process, Bilawal is also getting hurt, it seems the PPP wants him to remain in a state of torment, be a bereaved boy for the rest of his life to gain maximum sympathy from the public. And since the demise of Benazir Bhutto, the PPP has not pulled itself out of that sorrow, and at some point, it does not want to. Presently, we are seeing the PPP challenging the federal government regarding the corruption charges against it, while it is benefiting from its position as an opposition, for the PPP the issue is secondary. The priority should solely be the province the party is currently governing. Nothing has been done for the locals, the Anti-Conversion bill is the sole development that Sindh has witnessed and that too when only a year is left in the completion of PPP’s tenure. Overlooking the land-grabbing feudal lords in his own province, Bilawal is more determined to hold the Federal Government to account. For the young Bhutto to succeed, he has to give his utmost best to rebuild Sindh, people in the rural areas are in a wretched condition, mere celebrations of culture and tradition are not enough, comparatively speaking, these festivities seem rather irrelevant in front of the behemoth of issues that Sindh is facing. He should be more expressive than simply speaking on the behalf of the party, the spell of Bhutto populism on the people is wearing off, hence the latest vendetta by Bilawal and his father against the PML-N government has failed to appeal the masses. Bilawal has been brought up in captivity, he will be mocked and ridiculed by government officials and those outside the PPP circle if he continues to turn a blind eye towards Sindh’s deplorable situation, however to make certain gains, he needs autonomy, as for now he does not have one. It is high time the Sultan took back control from the viziers. He needs to build himself first before he undertakes any mission in public servce. Besides Pakistanis should get rid of the dynasty concept in a democracy. Can Bilawal become Zulfikar Ali Bhutto, you ask? But he is well on his way to becoming the next Muhtarma Benazir Bhutto. I swear, in his speeches he still sounds like the late BB.